Why is my campaign not appearing on my Giving Day profile? From your campaign editor, switch the toggle in the right hand corner from draft to live to make it visible to your supporters. 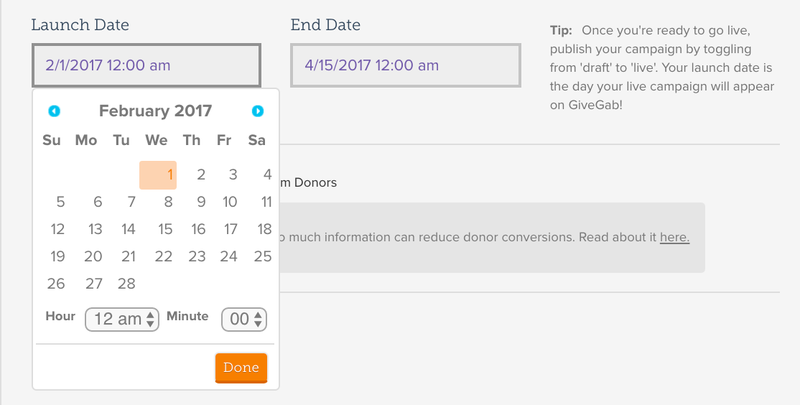 From your campaign editor on the General Info tab, set your launch date and end date for the times that you would like your campaign to appear on your Giving Day profile. If today falls within your launch and end date it will be visible.